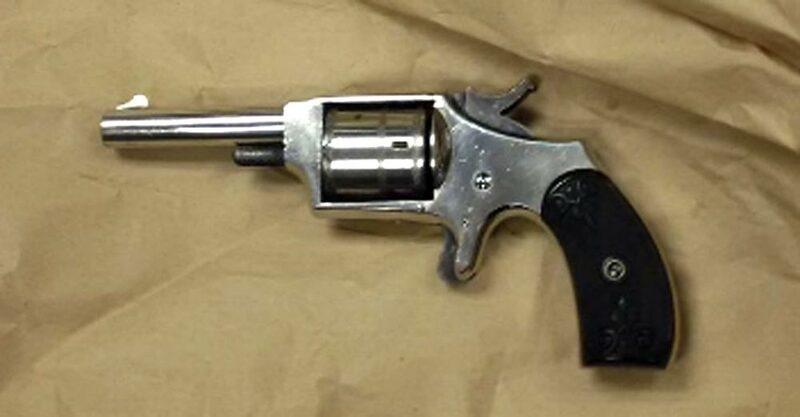 Police seized this loaded .32 calibre revolver as part of a drug investigation. Thousands of dollars worth of drugs are off the streets after a drug sting. Earlier this month, officers with Durham police’s Drug Enforcement Unit began an investigation into street-level crack cocaine, leading to numerous undercover buys. On Wednesday, Oct. 12, police arrested three males as they left a bar on Simcoe Street North in Oshawa. Police have since executed search warrants at two Ajax residences, seizing 75 grams of cocaine, $4,000 in cash and a loaded .32 calibre revolver. A 29-year-old male of Kidd Court in Ajax has been charged with two counts each of possession for the purpose of trafficking and possession of the proceeds of crime, one count each of trafficking and possession of ecstasy, and four counts of breaching a recognizance. A 29-year-old male of Woolf Crescent in Ajax has been charged with three counts of trafficking and one count each of possession of the proceeds of crime, unauthorized possession of a firearm, possession of a loaded firearm and possession of a firearm obtained by crime. Charges have also been filed against a 29-year-old male of Avondale Avenue in Toronto, a 28-year-old male of Jarvis Street in Toronto, as well as a 61-year-old female, a 27-year-old female and a 25-year-old female, all of Kidd Court in Ajax.